Additional Notes: We call her “Minute” as she is quick and little. 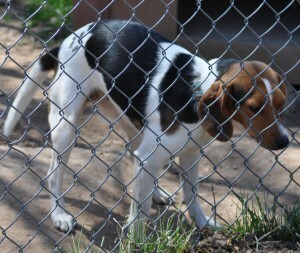 She is white with tan and black markings, one of which resembles a paw print on her back near her tail, she has a tan/brown head with a narrow white stripe down her nose and very floppy ears. She seems to be very well with other animals and people, very snuggly.